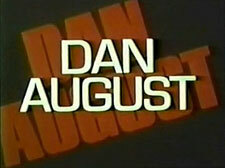 Dan August: Mystery and Suspense on Television. Burt Reynolds stars as homicide detective Dan August in this crime drama set in southern California. The series also stars Norman Fell as his partner Charles Wilentz. Based on a made-for-television movie adaptation of House on Greenapple Road by Harold R. Daniels, the series aired for just one season on ABC.